This reading group guide for The Soul of an Octopus includes an introduction, discussion questions, and ideas for enhancing your book club. The suggested questions are intended to help your reading group find new and interesting angles and topics for your discussion. We hope that these ideas will enrich your conversation and increase your enjoyment of the book. 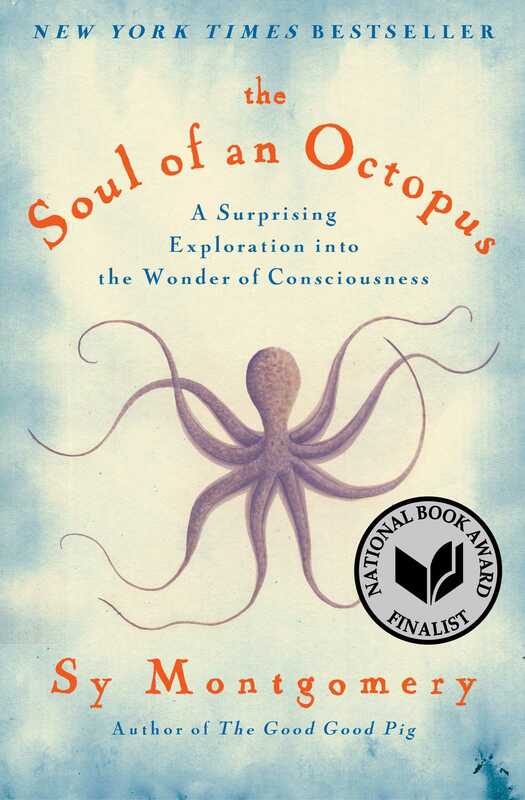 In The Soul of an Octopus, Sy Montgomery recounts her friendships with several octopuses—complex, spirited creatures who make remarkable connections with humans. She explores their almost alien intelligence, one that is of the Earth but so different from our mammalian and human consciousness that it might not be out of place in another world. Practicing true immersion journalism, Montgomery journeys from the New England Aquarium to the reefs of French Polynesia and the Gulf of Mexico in pursuit of these wild, solitary, predatory mollusks. It’s an underwater adventure story but also the story of relationships that are forged within the community of people that arises from their mutual care for the octopuses. Each octopus turns out to have a distinct personality, and each becomes the central character in her own drama, like a character in a Jane Austen novel. The story is in turn funny, entertaining, touching, and profound, as it reveals what octopuses can teach us about the meeting of two very different minds. 1. Sy Montgomery writes about her scientific and emotional attraction to octopuses. Did anything surprise you in her poetic, sensuous language about the octopuses? Does she make clear what science cannot explain about octopuses? 2. How does Montgomery describe the different personalities that the octopuses have? Do you agree with her assessments of their attributes? Can you relate to the emotions that she interprets them to have? 3. Otherness is a central issue in the book—the otherness of the octopus with its nature so dramatically different from that of other mollusks as well as the differences between cephalopods and people. How does Montgomery use the otherness of the octopus to show the ways the human characters in the story can feel that they don’t fit in or belong? How do the human characters with their varied backgrounds find ways of coming together and belonging? 4. The similarities between octopuses and humans are another theme. What are the similarities that Montgomery sees? Would you share her point of view or do you see the differences more than the similarities? 5. What does Montgomery reveal about what constitutes consciousness, in humans and animals? Does she show that octopuses have consciousness? 6. Does Montgomery address and answer the question of whether an octopus can have a soul? If so, how does she show the animal has a soul? If not, does she explain that the animal does not have a soul? 7. What is anthropomorphism? Given what science knows now about the consciousness of animals, is anthropomorphism a problem? If so, why? 8. What are the issues involved in collecting wild octopuses from the oceans and studying them in an aquarium? 9. Many cultures consume octopuses as food. Do you see any issues regarding eating octopuses? 10. For a book that imparts a wealth of scientific information about octopuses, Montgomery uses humor and also a deep sense of feeling and respect for the octopus and all of nature. How does Montgomery convey the major conservation issues, such as global warming and the health of the oceans, in the stories she tells in this book about people and animals? 11. Has your view of human consciousness changed after reading this account? Has your view of animal consciousness changed? What information specifically influenced you? 12. Has your perspective on nature and on octopuses been influenced by this book? What views has the book reinforced and what views has it changed your mind about? 1. Watch videos of octopuses. 2. Describe times when you’ve undergone the life passages that the octopus goes through in only two years. What life challenges did you have to face that the octopuses in the aquariums also face? What life challenges have you had to face that the human community that grew up around the octopuses also had to face: your own illness or that of a loved one, difference and desire to fit in, loss and loneliness, the birth and growth of friendships, ways to connect with others through play? What did you learn about your experience and how did it affect your relationships with others? 3. If you had to write a short essay about one of the most difficult parts of your life, what part would you choose to write about? What would be the obstacles to writing about this? When the Fire and Fury Are Gone, What Do You Do? "Renowned author Sy Montgomery's latest gem is a must read for those who want to dissolve the human-constructed borders between "them" (other animals) and us. Surely, there are large differences among nonhuman animals and between nonhuman and human animals, but there also are many basic similarities. Connecting with other animals is part of the essential and personal process of rewilding and reconnecting with other animals, and The Soul of an Octopus is just what is needed to close the gap." "Diving deeper than Jules Verne ever dreamed, The Soul of an Octopus is a page-turning adventure that will leave you breathless. Has science ever been this deliciously hallucinatory? Boneless and beautiful, the characters here are not only big-hearted, they're multi-hearted, as well as smart, charming, affectionate...and, of course, ambidextrous. If there is a Mother Nature, her name is Sy Montgomery." "In The Soul of an Octopus, Sy Montgomery immerses readers into an intriguing, seductive world just beneath the ocean waves and the lives of the creatures living within. In this beautifully written book, she brings empathy, insight, and an enchanting sense of wonderment to the bonds we inherently share with other beings—even those seeming far different from us." "Can an octopus have a mind and emotions, let alone a soul? Sy Montgomery faces these questions head-on in her engaging new book as she explores the world of octopuses, making friends with several and finding heartbreak when they die. They aren't, she discovers, simply brainless invertebrates, but personable, playful, conscious beings. Montgomery's enthusiasm for animals most of us rarely see is infectious, and readers will come away with a new appreciation for what it means to be an octopus." "With apparent delight, Montgomery puts readers inside the world of these amazing creatures. A fascinating glimpse into an alien consciousness." "The Soul of an Octopus is one of those works that makes you hope we can save the planet if for no other reason than to preserve the wondrous beasts we are fortunate enough to share it with." "Sy Montgomery’s joyful passion for these intelligent and fascinating creatures will have you rethinking that order of calamari." "Sweet moments are at the heart of Montgomery's compassionate, wise and tender new book... Only a writer of her talent could make readers care about octopuses as individuals... Joins a growing body of literature that asks us to rethink our connection to nonhumans who may be more like us than we had supposed." "I can't do justice to the wonder of this book, the joy and pain and fellowship and grief that Montgomery brings to life with her words...Completely engrossing and accessible." "Montgomery's passion for other species is infectious...[Her] warmth and exuberance...make good reading, and her awe and admiration are uplifting... I felt informed, moved, and inspird - whieh is all a reader could possibly hope for from a book." "An engaging work of natural science... There is clearly something about the octopus’s weird beauty that fires the imaginations of explorers, scientists, writers." "Fascinating... touching... informative... Entertaining books like The Soul of an Octopus remind us of just how much we not only have to learn from fellow creatures, but that they can have a positive impact on our lives." "A gripping new book bridges the gap between humans and one of this planet's strangest and most wondrous creatures." "Journalistic immersion... allows Montgomery to deliver a deeper understanding of the 'other,' thereby adding to our understanding of ourselves. A good book might illuminate something you knew little about, transform your world view, or move you in ways you didn't think possible. The Soul of an Octopus delivers on all three." "Charming and moving...with extraordinary scientific research." "[Montgomery's] compassion and respect for the species make for a buoying read." 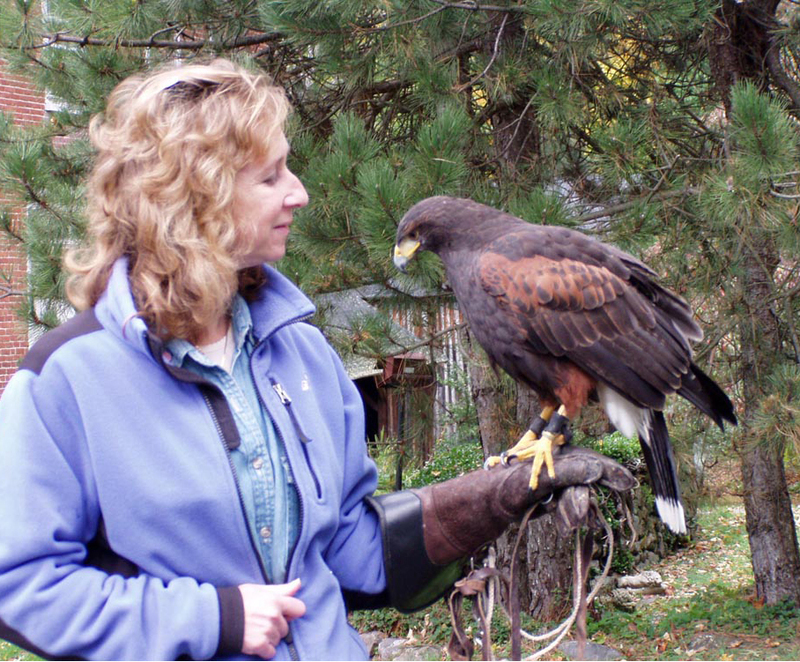 "Sy Montgomery's The Soul of an Octopus does for the creature what Helen Macdonald 's H Is for Hawk did for raptors." "Informative and entertaining, part memoir and part scientific exploration, reminds us that if we are the best creatures on the planet at thinking, we can benefit by thinking about the creatures that may be doing it in some other way." subjects’ many arms, Montgomery chronicles the octopus’ phenomenal strength, dexterity, speed... She also tells funny and moving stories about her friendships... Montgomery’s uniquely intimate portrait of the elusive octopus profoundly recalibrates our perception of consciousness, communication, and community." "The Soul of an Octopus is an astoundingly beautiful read in its entirety, at once scientifically illuminating and deeply poetic, and is indeed a worthy addition to the best science books of the year." "This miraculously insightful and enchanting book expands our understanding of consciousness and sheds light on the very notion of what we call a “soul.”…. The book’s greatest reward isn’t the fascinating science — although that is riveting and ablaze with rigor — but Montgomery’s bewitching prose, pouring from the soul of a literary naturalist who paints the marvels of the ocean’s depths like Thoreau did the marvels of the New England woods."